This is a small diaphragm condenser microphone with built in power supply (9V battery). It has a sturdy aluminum casing with an on/off switch and can also be fed via phantom power. 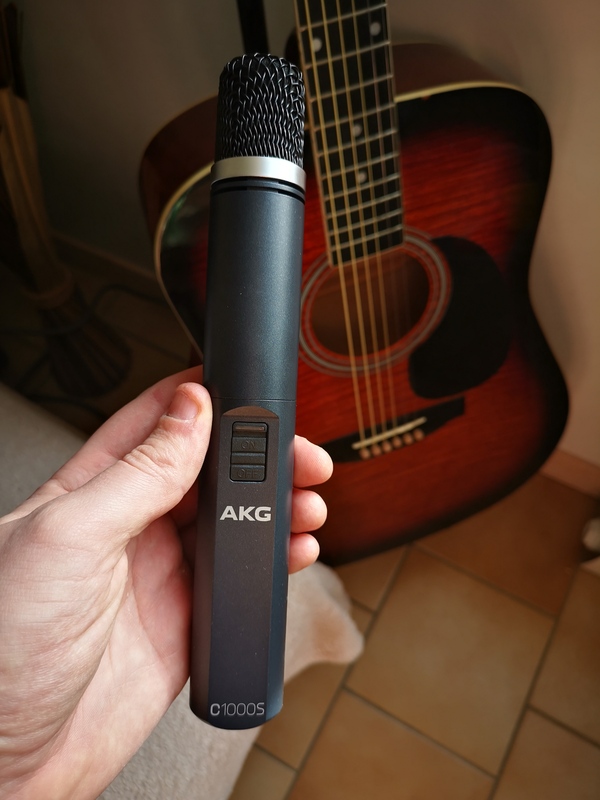 This microphone has been used in many situations - be it as overheads for live and studio situations, to record acoustic instruments or to capture jam sessions. The price tag makes it very attractive - on the other hand after a few years you will start to realize what you have been missing. I really have a kind of love/hate relationship with this microphone. Sometimes it seems that it just can't handle any kind of transients and then I hang it up in my band room to record a jam session and afterwards sit in awe at the sound it was able to capture. 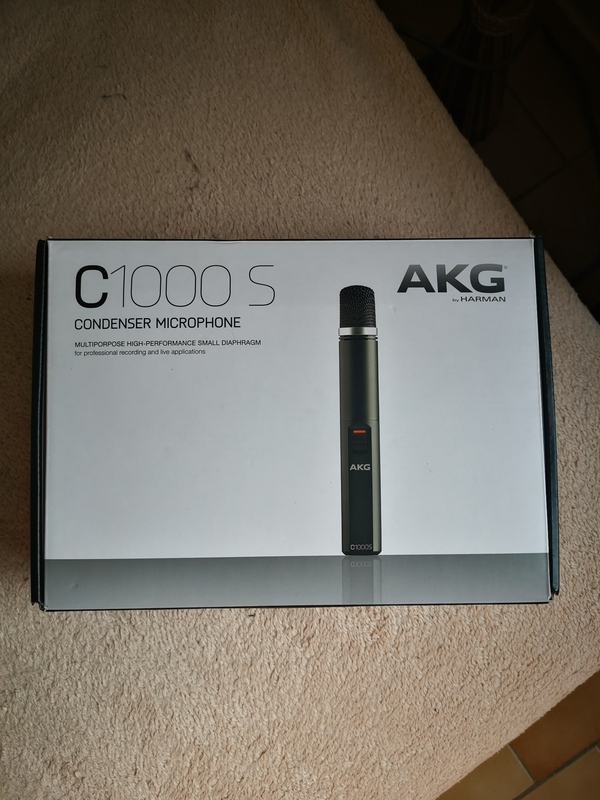 The C1000 can probably be found in almost any practice room around the world. They are cheap and deliver a good signal-to-noise ratio. I can't really say that it sounds bad but to me it really never has sounded very good either. It can however withstand quite a lot of gain and recording in loud environments is where it shines most to me. I often treat it almost like a dynamic microphone and get the best results. 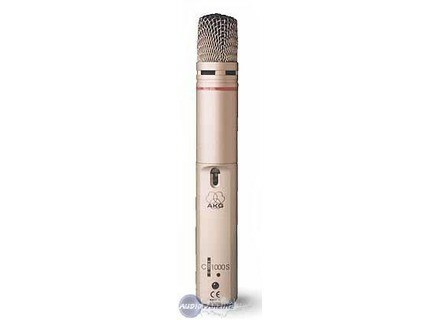 If you compare it to Rode mics (NT-5 for example) then I would probably prefer Rode - but that's just taste. The quality is definately very good for the price. As I said - it's love/hate. Just when I am about to go ahead and sell them on ebay someone plays something he recorded with the C1000 that makes me reconsider. In the studio the C1000 is best suited for HiHat and maybe Ride (maybe) and less suited for general Overheads. As always trust your ears with these microphones. If they don't sound right then there is a reason for that. 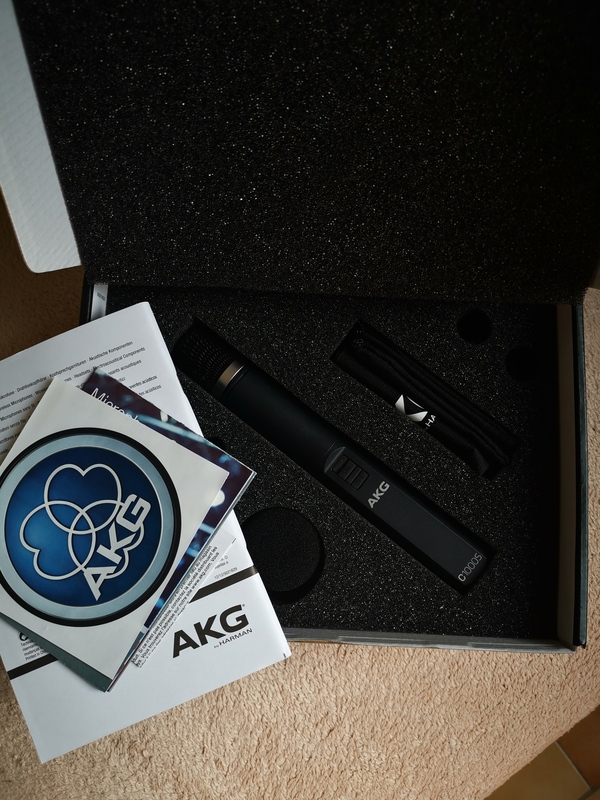 I own a pair of AKG C1000s and I have used them extensively in the studio. They're a great set (I would recommend getting a pair) of small-diaphragm condensers. 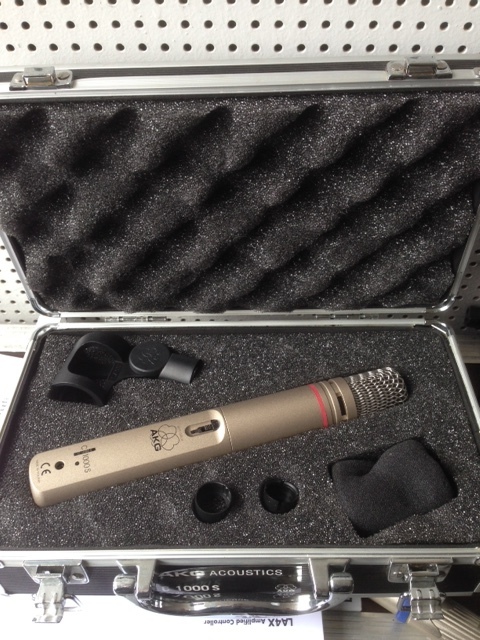 It has an on/off switch, which always comes in handy and the design of the mic makes it easy to set up and to place. The sound these things reproduce are great for all types of applications but mostly for acoustic instruments. I've had these for about a year now but I had used them in studios in the past. I ended up buying a pair because they are cheap and are a great option to have for overheads, or miking individual cymbals. They have a great high end to them and are a great value for the price. Many times you can find them cheaper as a pair. I also have a pair of Rode NT5s that I use as another option for overheads. Compared to those I feel the C1000s are a little better suited for hi-hats or ride cymbals rather than general overheads like the NT5s or the Neumann KM184s. They are also great on vocals, especially on choirs or a group of singers. While these may not be my go to mics, I'm happy to have them in my arsenal as an option for things where the high end of it is important. AfroMambo's review (This content has been automatically translated from French)" Reliable, solid, no more"